Tristan Nitot has been part of Mozilla right from the beginning, and was until 2015 its Principal Chief Evangelist and Firestarter. He is now looking back on his time at Mozilla, its history and business models. How an open source browser (Firefox) reached success and is currently facing huge challenges. Mozilla was built on Netscape’s leftovers. What happened according to you? At the start, Netscape was shipping and selling a software which one needed to access the Web: a browser called… Navigator! In the early 1990s, Microsoft understood that the Web and web browsers were becoming a threat to their revenue model, namely that of selling software in shops and selling licenses to computer vendors. On the contrary, the Web allowed a direct and global distribution, so Microsoft’s distribution, i.e. : its business model, was impacted. The company then took advantage of its dominance in the operating system segment to ship a free web browser, and thus avoid being directly threatened. Within three or four years, that is the necessary lag to renew the computer market, Internet Explorer, Microsoft browser dominated the market with a 95% share. At this point, Netscape decided to open source its browser and the Mozilla project was born. On March 31, 1998, mozilla.org site was created. Shortly after, AOL bought Netscape. At this point, there were fewer volunteer contributors ready to work. The AOL “toll road” business model was far from and even incompatible with the initial promises, a real turn-off for volunteers. By 2003, AOL sold Netscape and fired many of its employees. At the same time, the Mozilla Foundation was created with the help of $2 million, financed by AOL. There were only 8 employees at the Foundation in Mountain View, California. Here in France, two colleagues and I were unemployed after Netscape was terminated, and the fresh new Foundation did not have enough resources to employ us. We were convinced something was to be done. The Mozilla project was too important for the future of the Internet and it was on the verge of dying. Internet was stuck and locked under control of Microsoft. But we all believed in the promises and high potential of an open Internet. Then we adapted the website locally and Mozilla Europe was born. To date, Firefox is available in over 80 different languages. So, at the beginning, it was a contributory model: volunteers contributed to the code in their spare time. Nowadays, financial reports by the Foundation mention rather huge amounts. How was this change of scale managed? At first we encountered serious cash flow issues. We were selling t-shirts to cover our costs! At the time we were exploring various paths. Could we earn money through training sessions? Helping key account deployment? Developing customized add-ons? The conclusions were the same every time: no model was viable without at least 20 million customers. So we gave up the idea of finding an immediate income source. First things first, the product needed to be a success. 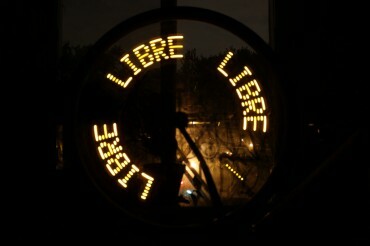 We already had “Mozilla Suite”, a browser loaded with features, but it was not that user-friendly. Firefox was born as a product from a small team of engineers (among which was a French PhD in Physics who we have no news from at the moment) who had a real vision for a great product, which was to simplify and remove rarely used features which unnecessarily adds complexity to the interface. This move was strongly resented by early contributors, because the piece of code they generously provided was at times removed! This is the moment when the extension system was invented. We removed the feature and it was pushed as an extension available for those who really needed it. Since then every browser has adopted the concept and now offers an extension system. What was the added value of Firefox? When Firefox started ten years ago, one of the new features was a search engine field to search the Web. A search engine was necessary, and we chose Google because it was the most relevant. Google noticed the traffic originating from our search bar was increasing strongly, so they suggested paying us for the traffic we sent them. This traffic being itself monetized by Google with ads on their result pages. The contract has been renewed ever since. But we also contracted with other search engines. 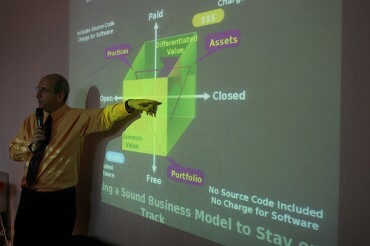 All in all, we can provide our software for free while we fund the project, employee salaries and volunteer expenses. And what happened to Mozilla Europe then? Mozilla Europe was an independent entity, which we merged into the Mozilla Foundation 10 years after its creation. We signed (simply online!) affiliate contracts with Amazon France, Amazon England and Amazon Germany, and all in all it made a pretty good financial reserve. It worked that way until it became obvious we ought to pay income tax on the revenue generated. Contracts then were associated with an US company which is subject to income tax, namely Mozilla Corporation. It is a 100% Mozilla subsidiary. So we could keep our status as a non-profit as well as non-profit governance, while complying with tax regulations. Our annual turnover was over 300 million dollars at the time. Later on, Mozilla Europe activities were integrated in the Mozilla Foundation and Mozilla Corporation, which allowed us to hire more than 150 employees in Europe. So resources are huge and regular but they come from a very limited number of customers and sponsors. Is it a problem? How can you diversify your sources of income in the future? The proportion of Google in our turnover is not a comfortable position even though the contract explicitly states that buying audience gives them no right of decision on product evolution. This is the reason why diversifying income is somewhat of a hot topic for Mozilla. As you can imagine, the community is not ready to accept any kind of decision. One of our recent announcements was an awkward move and was perceived as an attempt to push advertising in Firefox. There have been fierce reactions and we were led to declare that we were instead envisioning more discreet ways of showing our partners. I am sometimes asked whether we would consider crowdfunding. It is worth considering but it will not be a major resource. We are funded today with several million dollars a year and up to now no one has ever collected such a sum via crowdfunding. Generally speaking, it is not that easy to innovate within huge companies like ours in terms of the business model. At Mozilla, innovation starts in tiny teams which grow little by little until it becomes obvious. It takes time. What are the licenses in use for Firefox? 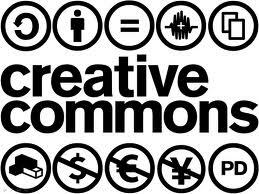 Our software is released under several licenses that guarantee the largest possible openness: GPL, LGP and MPL (Mozilla Public License, protecting us better than software copyright) and that allow collaboration: code is open, you can download it for free, which is a requirement for collaborative work. Every additional code is done under the same license. Only the Firefox brand name is not free because it is a trusted brand. You can copy, sell and modify everything you want, but you cannot call it Firefox. What is the balance between voluntary contribution and employees as far as production is concerned? Mozilla has about 1000 employees and 30,000 accounts, that is to say 30,000 individuals who have at least created or commented a bug-report. These are our contributors. Obviously they take care of code, bug-reports and bugfixes. An estimated 37% of code is produced by volunteer contributors, the rest is from Mozilla employees. Contributors also play a major role in promotion with hundreds of them in charge of organizing events and having access to a marketing budget. Our employees are among the best in their field, they are offered very attractive positions by Google and Facebook to mention just the big ones. Some former Mozillians are now developing Chrome (Google’s browser) or safari (Apple’s browser). It is a challenge for us to attract and keep talented people. They often come to us because of the project, because of Mozilla’s independence, and also because they are attracted to the thrilling working environment, where there is lot to learn. It is hard to keep them because we do not offer stock options, while they sometimes are offered millions of dollars by our competitors. Some of them cannot resist. Mozilla ended its partnership with Google in November 2014 and started a new one with Yahoo! 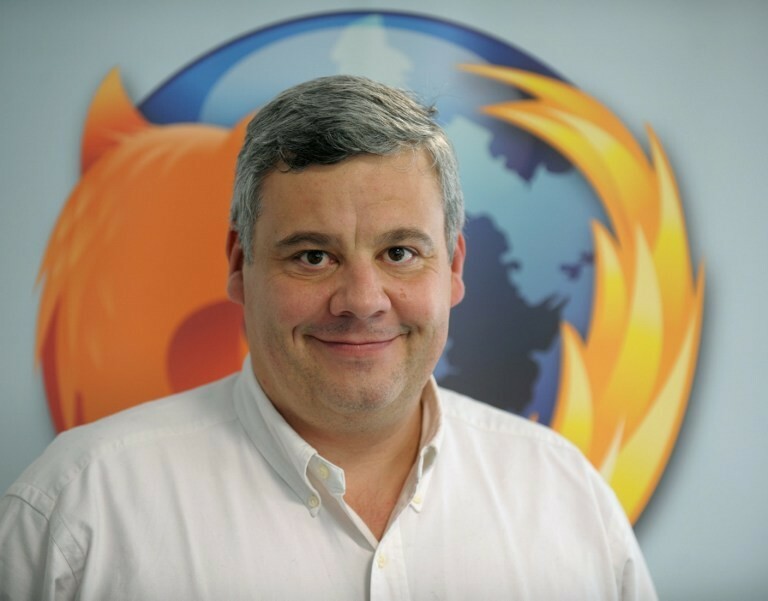 Tristan Nitot has been part of Mozilla right from the beginning, and was until 2015 its Principal Chief Evangelist and Firestarter. He is now product manager at Cozy Cloud.